The Boardroom seats up to 8 and is ideal for holding quiet professional meetings that will impress your clients. A large HDTV allows you to easily display high quality presentations or link your laptop to it. There is also a flip chart/white board, the room is air conditioned, you and your guests will be supplied with a login for high speed internet, and tea and coffee is included. Boardroom hours are included in most memberships and can be provided at a members rate for any time spent over and above that allocation. Non-members are welcome to book the boardroom with everything included atR200ph. Please note that booking is essential. 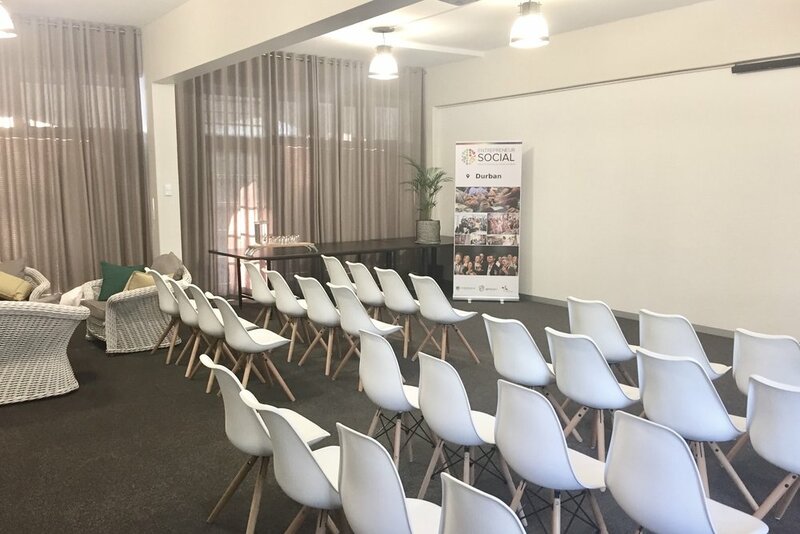 Ideal for all of your corporate needs, our event space is multi functional with the flexibility to host your meetings, workshops and end of year functions. Hire the whole space, or our team can design a custom solution including catering, hiring, event design and decor.